August is when fishermen often go deep because it’s hot. I do the opposite. There are always some baitfish in shallow coves during August, so I prefer to target fish chasing those baitfish. 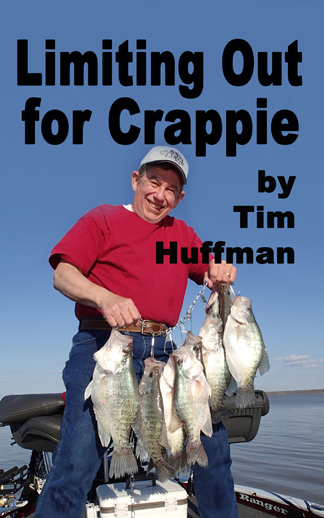 Shallow crappie at Truman will still be on the wood and they can be caught. Wind is a factor. It makes a difference and I like wind. A 5 to 10 miles-per-hour wind is perfect. I hear about the winds out of the East causing fish to quit biting but I catch plenty of fish with an East wind so don’t let that bother you. Too much wind can be bad for controlling the boat so I recommend finding a protected area. 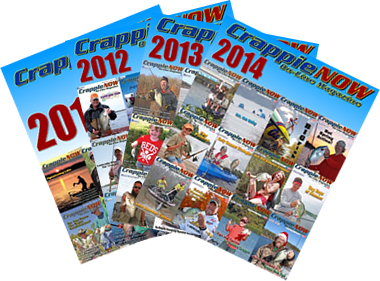 No wind can hurt fishing, too, but there is nothing to do about that except keep fishing. 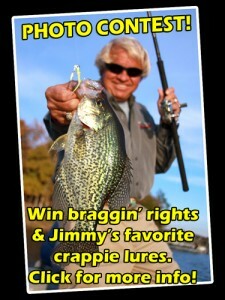 So fishing in a light wind is good, has many advantages and will help you catch more fish. 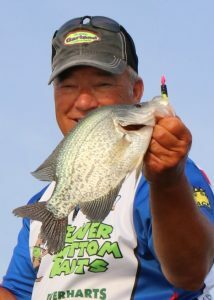 Barry Morrow is a guide at Truman Lake (www.barrymro.com, on Facebook, or 660-438-9978 or 660-723-2667) and is sponsored by Bobby Garland Baits, Beaver Bottom Baits/Redneck Rubber, Electra Air Heating & Cooling, and others. 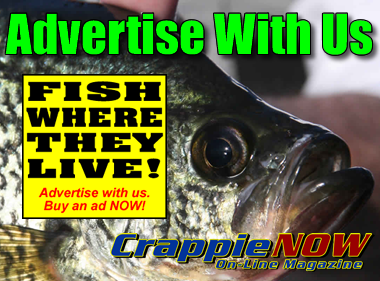 He and partner Chad Maupin has Crappie Masters wins including Missouri State Championship, 2018 Mississippi State Championship and recent wins at Truman Lake and Lake of the Ozarks.